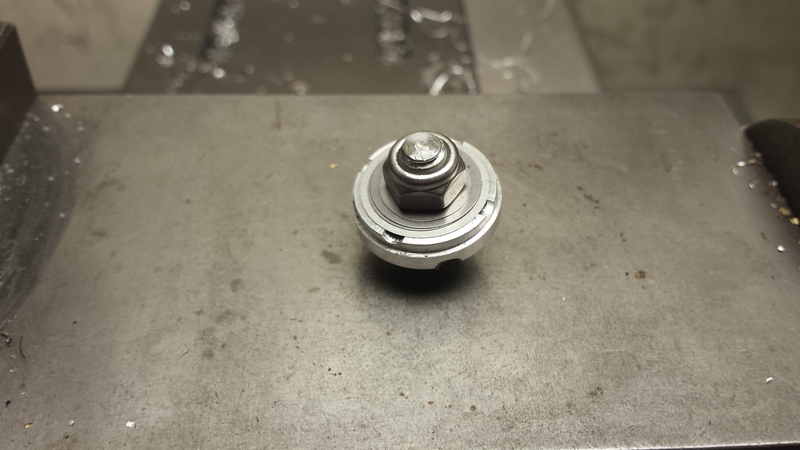 The damper had to be cut open near the bottom to depressurize and remove the original internal floating piston. The strategy was to convert the fork to open bath in order to keep the required maintenance to an absolute minimum. The fork has a lockout function so in order to make that work in an open bath layout, we need a compression base valve. 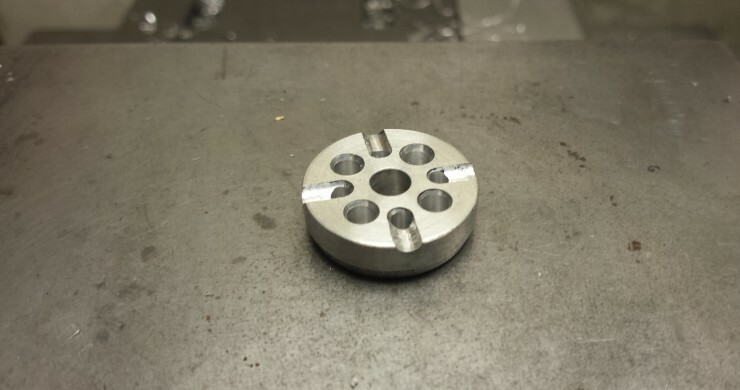 After making a basic valve, I crudely put it together with a check valve on one side and some m6 shims on the other. This thing didn’t need to be the most beautiful part, it just needed to work reliably and cheaply. 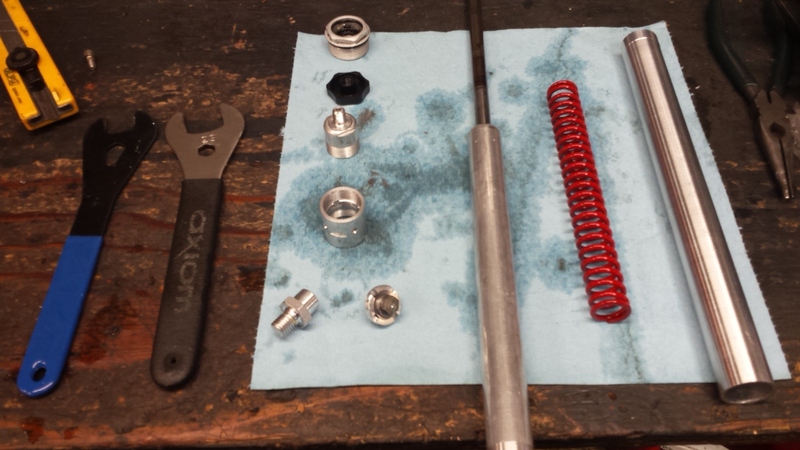 I used parts I had laying around, I was even able to make a quick release spring work for the check valve. 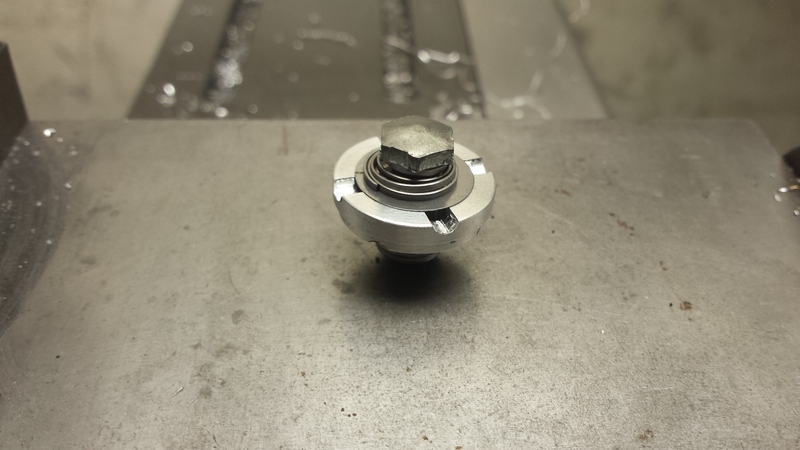 The valve got clamped into the bottom of the damper tube via a threaded endcap with 4 oil ports that I machined.